My mother gave me a pink plastic crochet hook and a small ball of white yarn and showed me how to make a chain when I was five years old. This was a much bigger deal for both of us than I realized at the time. Money was very tight on dad’s meager factory worker income and Mom made every penny count. She’d saved pennies for six months to buy me those two items, determined to pass on what was her family heritage of needlecraft. My mother continued to teach me the basics of crocheting and as we sat together working the stitches, she would tell me stories about her grandmother who’d immigrated from Lithuania with her husband and young daughter in the beginning of the last century. Never learning to speak English, my great-grandmother became more dependent on her daughter and granddaughter, when my great grandfather died and their small chicken farm in Long Island, NY was too much for her to maintain alone. My grandmother had no interest in returning to farm life, such as it was in the outer boroughs of New York City during the early 1900s. The Depression took its toll on my great-grandmother; she sold the farm and moved in with my grandmother when my mom was ten. By then, my grandparents’ arranged marriage was in free fall and she’d packed my mother and their belongings and left my grandfather. She needed her mother as much as her mother needed her. The lives of the three generations of Monas women were intimately and precariously intertwined. They were dependent on each other, not just physical support, but emotional support as well. My grandmother worked in a sewing factory commuting into the city daily. My great grandmother looked after mom during her adolescent years, supervising my mother’s chores of cleaning the shared bathrooms down the halls of the apartments, as well as the floors and stairs of the six story walkup in Greenpoint, Brooklyn. My grandmother and mother were the building superintendents, taking care of cleaning and maintenance in exchange for free rent. It was a harsh reality for a little girl of ten, conceived in a loveless arranged marriage on the eve of the Great Depression. While we crocheted, my mother would tell of arriving home from school to her grandmother waiting for her in the rocking chair by the window. This was one of my mom’s favorite memories of her childhood. She’d return to that memory each time she talked of the afternoon sun streaming in through the lace curtain, crocheted by her grandmother. As she spoke of the light on her grandmother’s then white hair, neatly combed into a bun at the nape of her neck, a far away look would come over my mother’s face. It was easy to see that she was remembering a time when she felt cherished and loved, a rarity in her adulthood. Moving gently to and fro in the rocking chair as she crocheted fine white cotton thread doilies or tablecloths for sale to the wealthier women across the river in Manhattan, my great- grandmother would listen to my mother talk excitedly about what she’d learned at school and how she was going to be a teacher when she grew up. 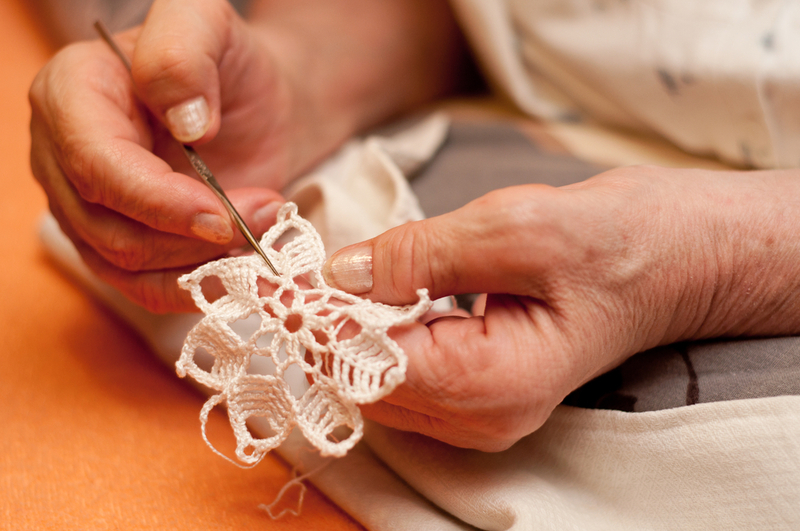 While Mom talked about her dreams, her grandmother stitched designs and patterns right out of her head. Nothing was ever written down. I was so wrapped up in the telling of the story, seeing every detail as my mother shared her memories, I often forgot that mother would have been speaking in Lithuanian, translating what she shared with her own grandmother. In the telling, she was reliving the experience. I knew that the bond between the two generations was stronger than blood and my mom’s way of passing on all she knew of her lineage was to share these stories, as well as her grandmother’s gift for crochet. 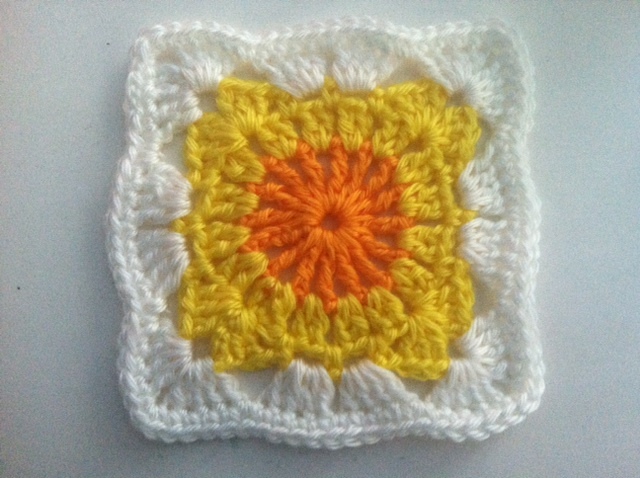 Not long after I’d mastered the basic stitches of crochet, there was Woodstock and ‘flower power’. Crochet clothes and accessories were everywhere. But it was out of the question that I’d imitate this fashion trend. My mother didn’t believe in following the crowd and was resolved in teaching me to not to be a follower. She wouldn’t allow me to wear, much less crochet the popular vest seen everywhere. Besides, we couldn’t afford the yarn for fashion. Anything I made had to be for practical use only. No exceptions. The only vest Mom made for me was knitted, lacking any sense of style save the green color, it was totally utilitarian in its use: warmth. My mom was also very practical in choosing my clothes, supplementing what she could pass on what survived my two older brothers with too-large purchases from discounted department stores that would last two seasons as I was in my pre-adolescent growth spurt. At ten, I wasn’t exactly a fashion statement and my classmates knew an easy target when they saw one. I was taunted mercilessly by my more fashionable classmates for my odd appearance, culminating in the snipping the back of the vest during a test causing it, and me, to unravel. I swore off wearing anything handmade. Ever. 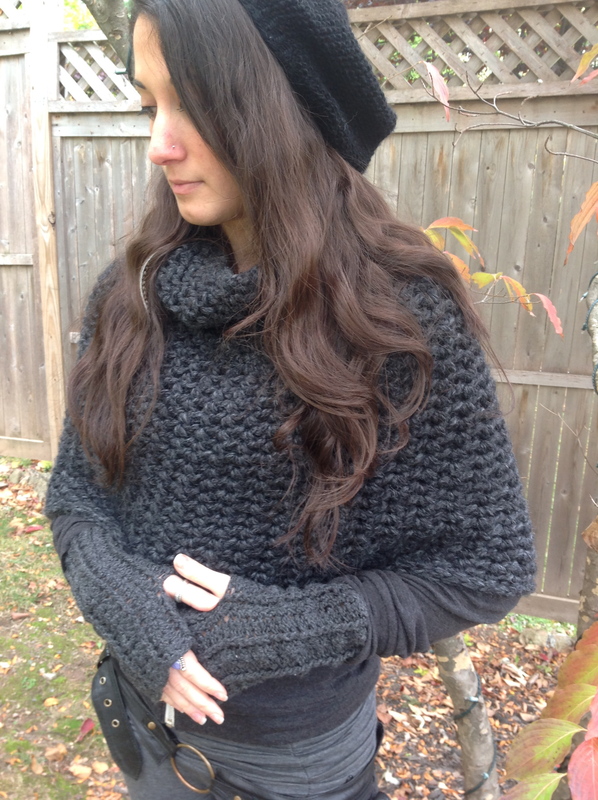 Knit slouchy hat, crochet caplet, wresters by Donna Cerame. Years passed and my resolve softened as I picked up my hook and crafted gifts. Blankets for friends going away to college soon yielded to ones made for those getting married. But I got busy again with full time work, school at night, and getting married, and put away my hook once more. A few years later my husband’s aunt gifted us with a beautiful crocheted baby blanket when I gave birth to our daughter. I’d wrap Cesca in that blanket every day during the colder months on our daily walks, careful to tuck all the edges under the cushion of her stroller. We never had a walk where someone didn’t comment on how lovely that blanket was, did I make it? I’d wished I had. Inspired once more, I began to crochet — first creating Cesca’s first Easter outfit and now, 25 years later I’m still making her items. Having taught myself to knit fifteen years ago, I’ve expanded my repertoire of skills. Two weeks ago, I wore a vest I’d crocheted for myself, a vest crafted from my own imagination. Silly as it sounds now, I was so nervous to wear it outside of the house, anticipating stares and sneers like so long ago. When my daughter saw my outfit, I realized I wasn’t that geeky ten year old any more — she asked me if there was a chance I could make her a vest too. What have you given up from your childhood that you might take up once again? I too am a generational crocheter but did not embrace it for several years. About 10 yrs ago my mother was diagnosed with Alzheimer’s and I was the only one of five girls to crochet. I honour my mom known with gifts to my sisters. A very moving story. And I love how the hand-made tradition has been passed down through your family. Beautiful! Threads of life and lineage crocheted into patterns of memories passed on. Wonderful how you’ve now added your own unique signature in resurrecting your crochet hook & so meaningful to share your creations with your daughter. Great stories of talents passed from generation to generation. Love to read them. They are gifts!